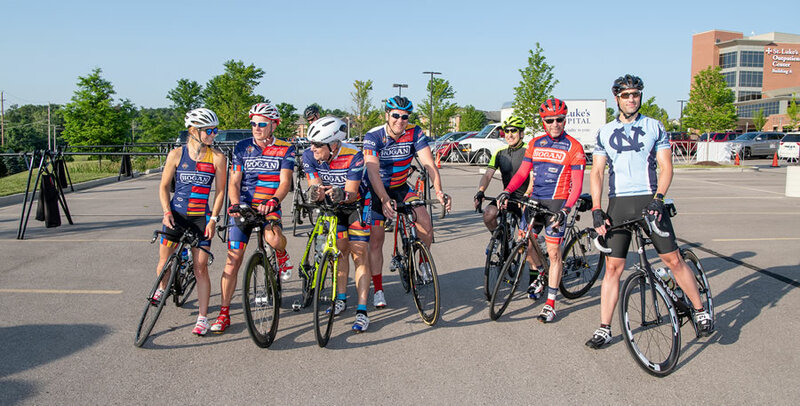 Welcome to an exciting opportunity to be a part of the only cycling event in the St. Louis region to raise awareness and support for heart health and wellness. This year's Tour de Wellness is the Ride for Heart Health. Proceeds will support St. Luke's Heart and Vascular Institute in its continued development of treatment options, life saving research and community outreach initiatives that provide access to free health screenings and education to help decrease individuals' risk of developing heart disease. Tour de Wellness - Ride for Heart Health offers routes for cyclists of all levels - enthusiast to advanced! Choose from one of three routes ranging from 17 to 60 miles. SAG support and rest stops are available throughout the ride. Why Ride for Heart Health? We encourage participants to recruit their family, friends and colleagues to participate as a team in the ride. Companies can support and encourage health and wellness by sponsoring a team. It is a great way to provide a fun and safe activity for employees, while building camaraderie! or email chloe.tubbs@stlukes-stl.com for more information.